Caring for a spouse can be difficult, especially for older adults who need to manage their own health. Watching a spouse age can put mental and emotional strain on seniors. However, there are a few ways to make caring for an elderly spouse easier. Spouses sometimes feel obligated to provide all the care for their loved one without any assistance. They often believe they’re letting their spouse down by asking someone else to step in and help, which could cause them to burn out. Asking for assistance can keep caregiver burnout at bay. Ask your children to help out before asking other family members and friends. You could also hire a professional caregiver to come in and handle some of your daily duties. 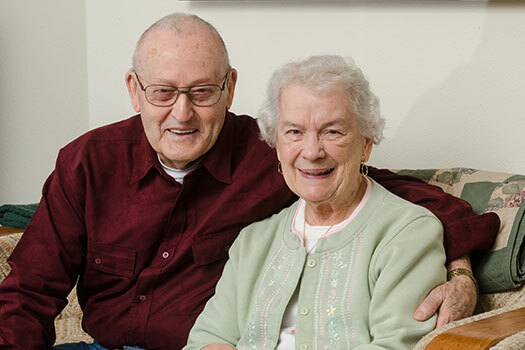 If you are the primary family caregiver for an elderly loved one and need additional assistance providing high-quality senior care, Green Valley Home Care Assistance can help. We are a leading home care agency committed to changing the way seniors age. Caring for an aging spouse puts you at a higher risk for depression and anxiety, which is why you need to safeguard your emotional health by seeking guidance and support from family members, friends, or professional counselors. You could also join a caregiver support group where you can talk freely about your caregiving duties without feeling like you are betraying your spouse. Sharing your frustrations, sadness, and anger with a caregiver support group can protect your emotional health and give you a fresh perspective. Caregiving can be an all-consuming role that causes family caregivers to stop eating healthy, exercising, or performing other self-care tasks. Although it is typical to get wrapped up in a spouse’s care, it could put you in a dangerous situation. You need to be healthy to provide the type of care your spouse needs. You can maintain good health by taking breaks, cooking healthy meals, staying socially and physically active, and visiting your doctor on a regular basis. Continuing self-care is one of the best things family caregivers can do when caring for an elderly spouse. Consider hiring a professional caregiver if you need a break from your caregiving duties to focus on your own health and wellbeing. Whether your elderly loved one needs part-time assistance with basic household chores or you need a break from your caregiving duties, the Green Valley respite care experts at Home Care Assistance are here to help. All of our respite care services are backed with a 100% satisfaction guarantee, there are no hidden fees in our contracts, and we never ask our clients to sign long-term contracts. If you don’t have family and friends nearby to help out, you may feel lonely. Being alone may feel like a huge burden, but you must remember there are many organizations that provide assistance to elderly couples. These organizations could provide you and your loved one with transportation assistance and help with household chores. Do some research and see what options are available in your community. These resources could reduce the stress and anxiety that comes with caring for an elderly spouse. Hiring a professional caregiver is one of the best ways to ensure your aging spouse receives the high-quality care he or she deserves. Get in touch with Home Care Assistance to find out how a Green Valley, AZ, at-home caregiver can help your aging loved one live a longer, healthier, and happier life. Our caregivers are available 24/7, all of our senior care services come with a 100% satisfaction guarantee, and we never ask our clients to sign long-term contracts. To hire a dedicated in-home caregiver, call us at 520-625-2050 today.